To unlock the performance potential of 2007 to 2010 Wrangler JK Superchips has released a new electronic kit called the Flashpaq which delivers up to 18 horsepower and 24 lb-ft torque of power. Installing the product is simple. Plug it into the diagnostic plug under the dash, select the performance level and options, and about 10 minutes later it’s done! 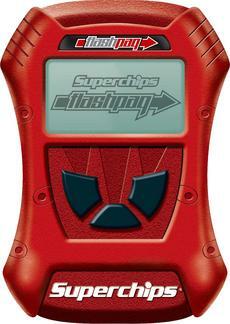 The Jeep Flashpaq also provides JK owners a number of Superchips; standard features including optimizing transmission performance, shift firmness, allowing the user to adjust the speed limiter, electric fan control, real time vehicle sensor monitoring, advanced data acquisition, read & clear trouble codes and calibrate for non-factory tire sizes and axle gear changes.